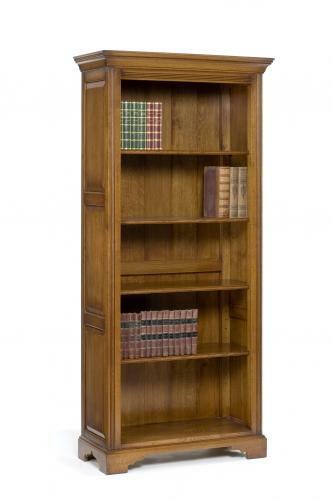 Solid oak tall open bookcase with traditional elements such as the fluted columns and panel sides. Can be made any sizes and any numbers of shelves. Whichever you choose,they will live on for many generations.